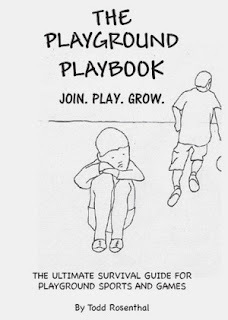 I was contacted recently by Todd Rosenthal, author of a short book for young children titled, The Playground Playbook. Todd does a nice job of explaining the basics of playing pickup games, and does so with language and drawings that are suitable to the youngest readers (ages 6-10). The book begins with introductory chapters on how to "Get in the Game" and "Understanding How Games Work," and progresses to game-oriented advice in "Game Behavior" and "Game Strategies." I found one chapter, "Find Your Role," especially appealing. In my book, The Young Athlete's Guide to Playing Sports , I discuss at length the importance of every young athlete understanding the concept of team roles. Knowing what you do best, how your abilities fit with those of your teammates, and having the willingness to play the necessary role(s) to help your team win, is a key to success in both organized sports and pickup games. Todd also addresses this topic and does a great job of describing how each young child can figure out what type of player he or she is. 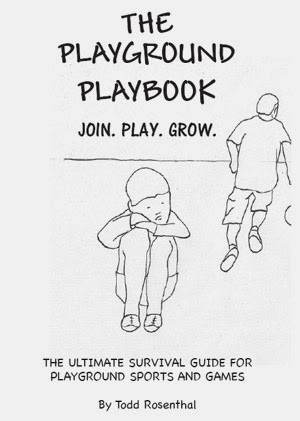 The Playground Playbook is available on Amazon. As an excellent introduction to pickup games, I wholeheartedly recommend this book.